Watch this lecture by Professor Ralph Martins as he explores how early diagnosis is the key to developing an effective treatment for the deadly disease. The Foundation’s Director of Research, held a lecture titled Alzheimer’s Disease – early diagnosis, prevention and treatment: challenges and expectations. He also explains the work being done in the Australian Imaging Biomarkers and Lifestyle (AIBL) study which aims to identify biomarkers that may allow for early diagnosis. The AIBL study is the world’s largest and most comprehensive study to develop an early diagnostic test for Alzheimer’s disease. Professor Ralph Martins AO, is Director of Research at Australian Alzheimer’s Research Foundation and Chair of Alzheimer’s and Ageing at Edith Cowan University. 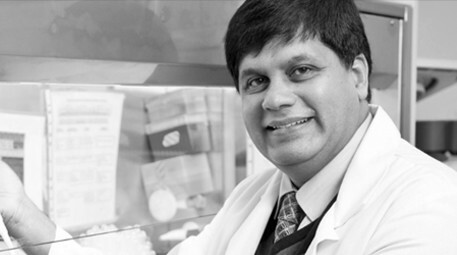 His research is conducted under the auspices of Australian Alzheimer’s Research Foundation and the Centre of Excellence for Alzheimer’s Disease Research and Care. Over the last 30 years, Professor Martins’ insight into this devastating disease has led to a number of ground breaking discoveries. He contributed to the pioneering discovery of Beta-amyloid (Aβ) and the amyloid precursor protein (APP), an important protein found in the brains of Alzheimer’s patients now universally acknowledged as being fundamental to the pathology of AD. Over-production of Aβ and the impaired clearance of this toxic protein from the brain plays a key role in its accumulation in the AD brain and the resulting neurodegeneration. Subsequently, Professor Martins’ research has focused on the mechanisms and factors leading to the release and deposition of Aβ in AD. His identification of oxidative stress in the Alzheimer brain has also been described as a significant landmark discovery. This lecture was delivered as part of The West Australian – ECU Lecture Series, in July 2016.